The folks working toward this goal and leading the initiatives are innovative and inspiring. Food Service Director Sam Wilson has been essential in sourcing local produce for her meal programs. She’s partnered with FoodCorps for four years now, to enhance the healthy school environment with hands-on nutrition and garden lessons. New this school year is an exciting collaboration with Brigaid. Brigaid is placing professional chefs in New London cafeterias, making school lunch more like fine dining—real plates, new recipes, and more scratch cooking. This new effort, coupled with our service members seems to be a winning recipe (pun intended). Our two corps members in New London, Jess and Katie, are creating an interactive cafeteria environment. They know that if students experience new foods in some way—through tasting it, cooking it, or growing it—they are more likely to eat it and enjoy it. 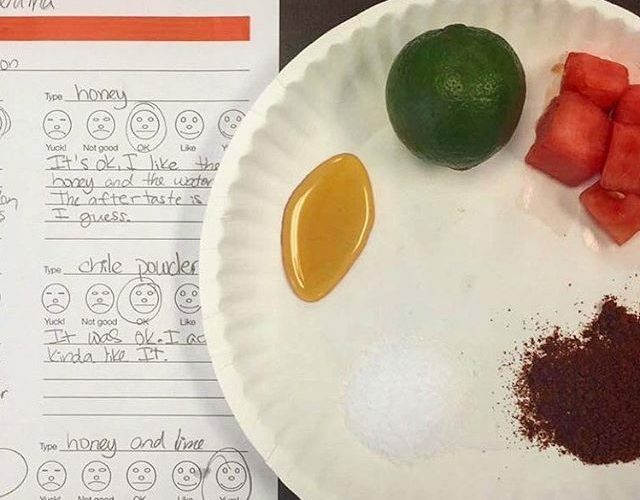 So, as the chefs start to roll out new recipes like roasted tomato soup and seasoned watermelon, students are giving feedback that is considered before the final product makes it onto the menu. At the same time, Jess and Katie are also creating interactive lessons and activities to expand upon students’ knowledge of where food comes from and how it grows. 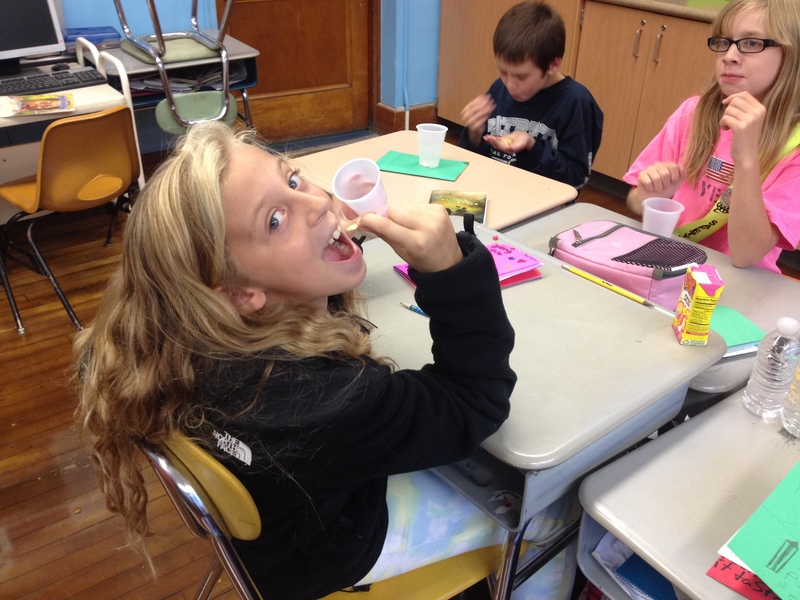 This leaves students feeling excited and empowered to make healthy meal choices on their own! Special thanks to Anthem Blue Cross and Blue Shield for supporting our increased service member presence in New London this year! 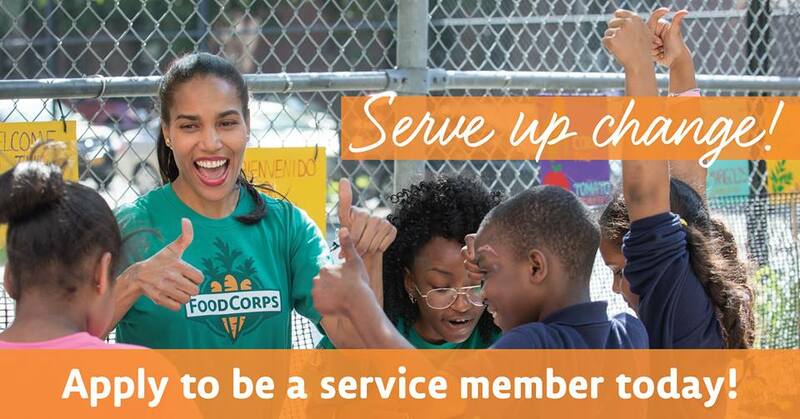 Our FoodCorps Connecticut service members are making a large impact across the state! The 15 superstar service members have interacted with 6257 students! 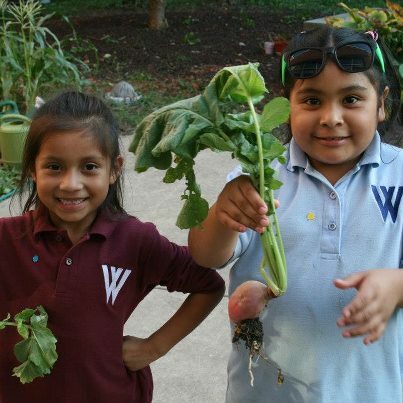 They have harvested 355.25 lbs of produce from school or community gardens! They have worked with 545 volunteers! CT Service members have also worked with 40 farmers! 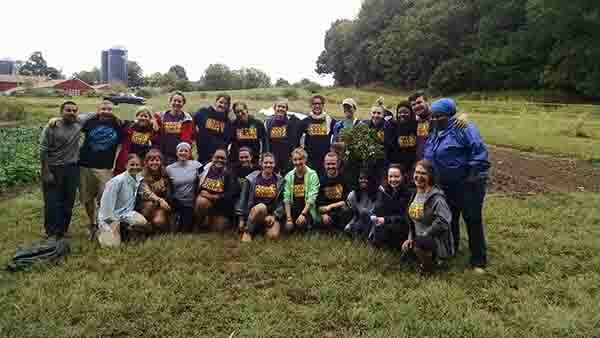 9/11 National Day of Service – members of FoodCorps CT and the CT Food Justice VISTA Project, helping a local farmer get her fields ready at Cloverleigh Farm in Mansfield. 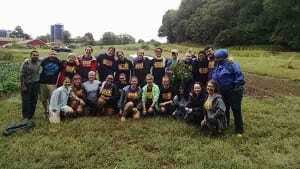 Both projects are coordinated by UConn Extension and proud partners with AmeriCorps. It turned out none of the above scenarios were what caused a quiet eight year old to yell out in fright. When I reached her side, she had a small trowel in one hand, and a half of an earthworm in the other. The rest of the earthworm, I presume, was somewhere left in the soil of the garden bed she had been weeding in. This girl was absolutely heart broken that she had killed a worm. Obviously, I too was a little upset- here I had a distraught girl in the garden, and, a dead worm. However, I was also proud. 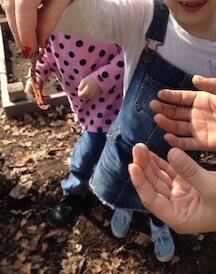 I was proud because this student had taken to heart our number one garden rule “respect all living things” — fellow classmates, beautiful sunflowers, tasty strawberries, slimy worms, scary beetles, buzzing bees, and much, much more. She knew that worms were good for our soil, and therefore our plants, and was disappointed that she had killed a beneficial creature. I consoled her by explaining there were a lot of worms in our garden, and it wasn’t that big of a deal. She decided to be more careful in the future, and then gathered the rest of the group to give the worm a proper burial in the compost bin. 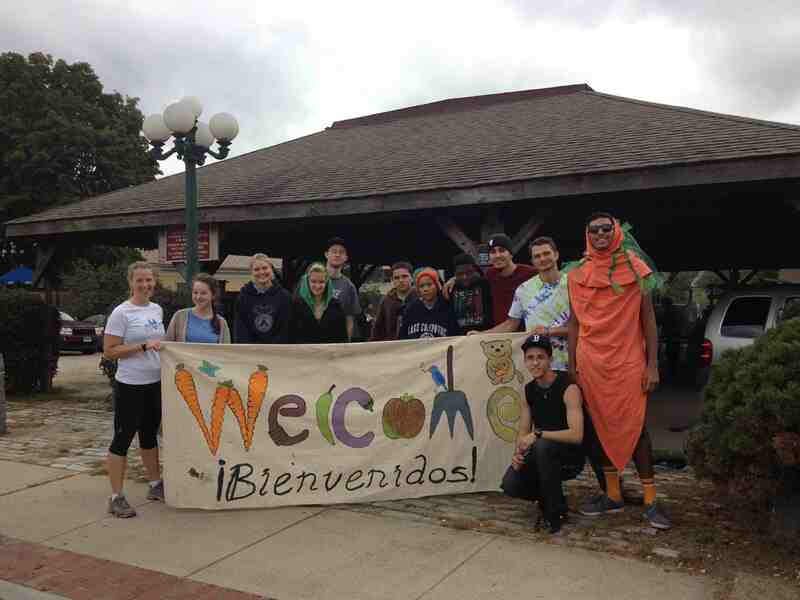 The Connecticut Food Justice Youth Corps (CTFJYC) is a team of five AmeriCorps VISTA’s increasing the collaboration and coherence of non-profits working the field of Food Justice. The strength of this collaboration begins and ends with an understanding of what each of these separate organizations seek to create: a community movement, driven by youth, to improve the access and affordability of healthy food regardless of race, class, gender, ethnicity, or citizenship. These organizations have the common desire to give communities a voice that speaks to their own food needs and to ensure that this voice is loud enough to be heard. Generally targeting middle and high school age students, individual organizations under the FJYC umbrella are developing a common curricula for use or adaptation at any school, a curricula that seeks to educate and empower. The youth that emerge as leaders, role models and activists are then given the tools to craft a movement of their own design, based on an assessment of community needs through their own eyes. 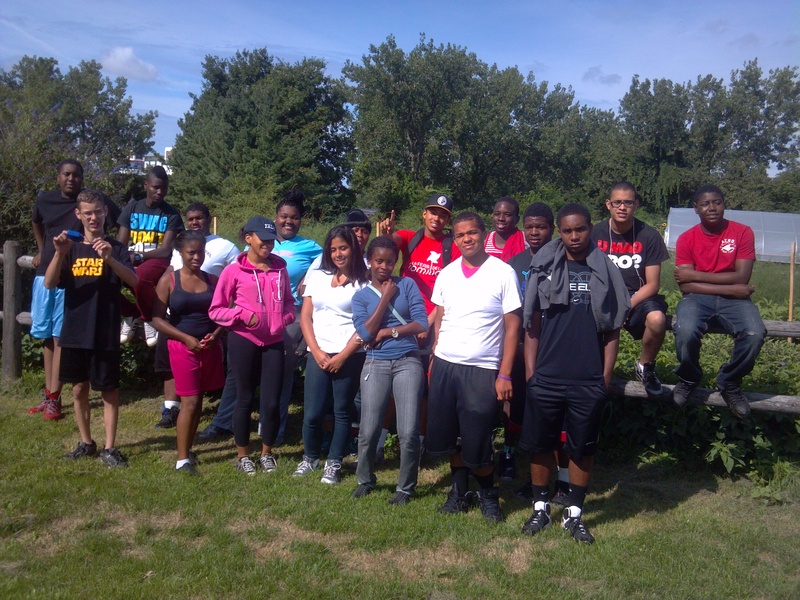 It is the VISTA’s position to support the youth at each juncture, with the aid of community and college volunteers. 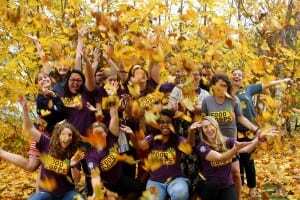 Along the way youth groups will meet with partner organizations at food policy meetings, summits, and convening’s; the capstone being a youth driven convening for all of the partner organizations to attend, as well as speakers and advocates in the field of food justice. Youth groups will present their projects, the successes and the failures, and learn from one another just how powerful a group of young minds can be in changing the way their community looks at food. 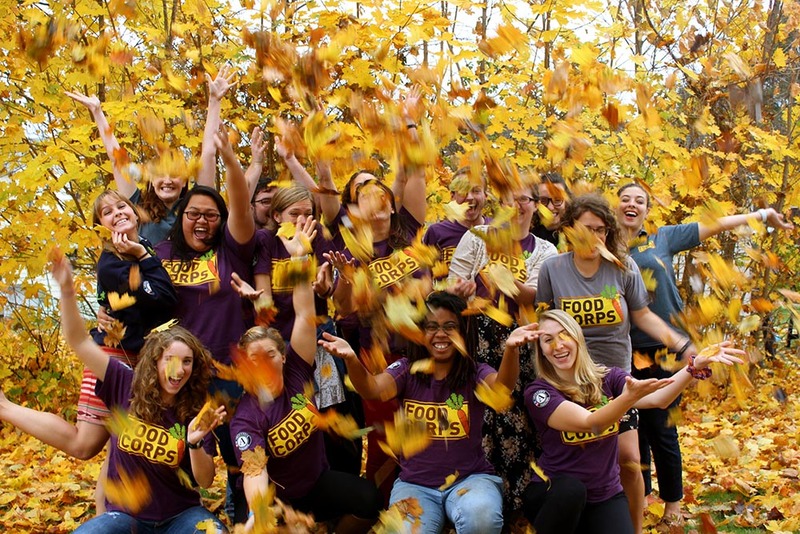 Currently the FJYC is a collaboration of five main organization, backed by the support of FoodCorps, the UConn Extension office, and the Institute for Community Research. 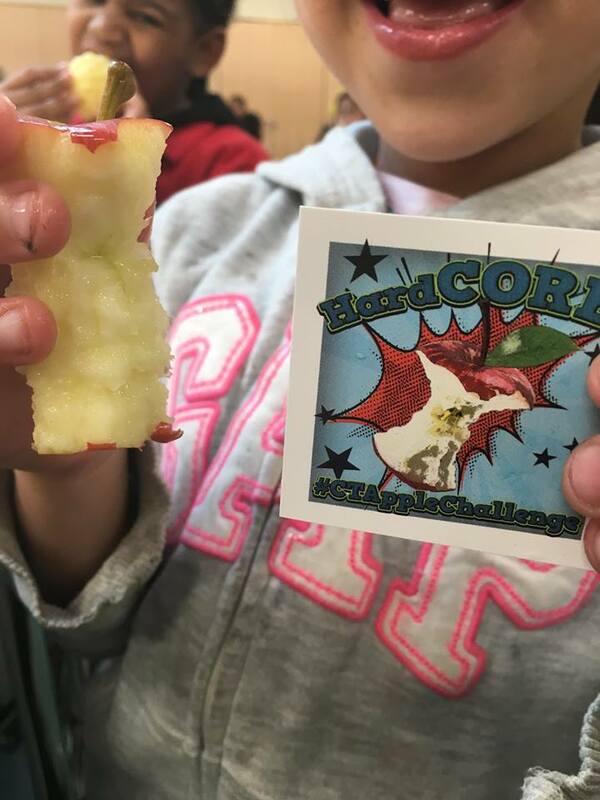 Our sites are in locations all across Connecticut, with the connection being a low income, high-risk community in need of food system change. VISTA’s serve with GROW Windham (Windham County), FRESH New London, NEAT (North End, Middletown), Hartford Food Systems and CitySeed (New Haven). Each site has unique challenges dependent upon its location; therefore the common curricula is developed with adaptation in mind. With the continued support of UConn Extension and AmeriCorps, our hope is to expand the network of VISTA’s working with non-profit in the field of food justice from five to twelve in the summer of 2014. Our goal, to make a fluid social movement driven by collective impact is slowly but surely gaining momentum; each day is more exciting than the last.